USA! USA! USA! The Model 3 was the best selling luxury car or SUV in the US - "the first time in decades an American carmaker has been able to secure the top spot." As the article points out - this may be an indictment of Cadillac and Lincoln more than anything. Not to take anything away from Tesla though because the Model 3 was also ranked by Consumer Reports as the Number 1 Car in Owner Satisfaction. USA! USA! USA! Tesla cars have been shown to be robust when it comes to handling wear and tear with minimal maintenance costs. 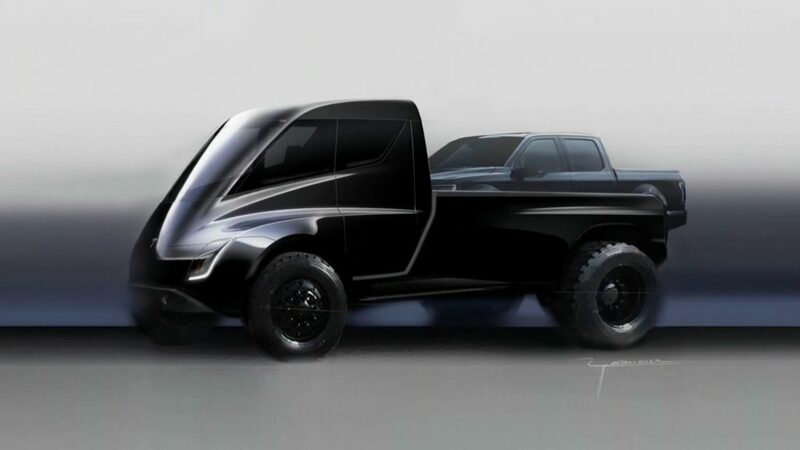 According to Elon Musk the Model Y is up next but close behind is going to be the Tesla pickup truck. It supposedly looks like a smaller Tesla Semi but one cool feature I think is the plug in port(s) for electric hand tools. That could be a killer app for workmen. One Tesla story I think has been underplayed is the demand for Tesla vehicles in Europe. A demand that is only now being met. It is interesting to look at some of the negative "news" about Tesla and wonder who is sponsoring this stuff? Like the Washington Post's profile of Elon Musk's use of a private plane. Is there going to be a follow-up article in the Post on Jeff Bezos' use of private jets? If not then I'm going to chalk this up to the Bezos owned Washington Post taking a collateral damage swipe at Blue Origins (another Bezos company) biggest competition SpaceX and their primary owner in Musk. And people wonder why nobody trusts the media. The article is another example. Tesla had 83% market share of all EV's sold in the US but Tesla's fourth quarter earnings were deemed "relatively disappointing" because they missed some analysts estimates. What did those analysts want? 100% of the EV market? In other Musk World news - SpaceX is getting closer to a manned mission to the International Space Station. What's Next for the Patriots? Patriots Win the Super Bowl!